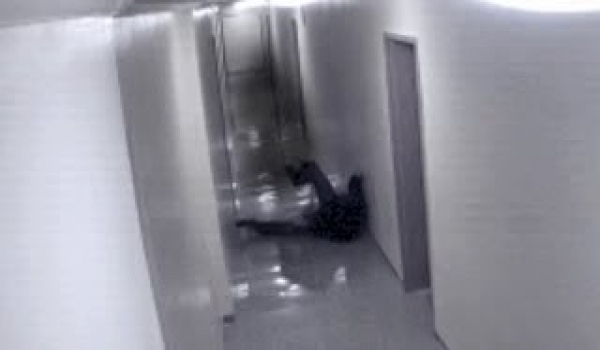 CCTV Security Camera captures black entity, possibly a ghost or a demon, attack man in a hallway. Bone chilling moment as the spirit pushes him to the ground and drags him down the hall by his leg, before letting it's grip go and disappearing as fast as it appeared. Then the man runs for his life.